The roads, loads, traffic and weather can be unpredictable, so quality commercial vehicle insurance for your semi-truck or other trucking business is essential. Louisiana-area truckers trust American Insurance Brokers, based in Mandeville, LA, for their insurance and knowledgeable advice. We understand modern trucking operations and equipment and can help you get the coverage and discounts that are right for you, whether you have a centralized fleet with automatic logging or a more traditional operation. From a Metro New Orleans fleet to rural delivery and over-the-road drivers, heavy equipment or household goods to specialized loads, we’ve got coverage that’s specific to the work you do. We have the experience and background to understand your business, get you covered for the right risks and make sure you get the best rates for your specific business. We understand coverage for your rig, your trailer, delivery trucks and equipment, tow truck workers and business owners, as well as non-trucking coverage for when your truck is not on the road. Our knowledge and experience make our customers glad they chose us as we step up to help when accidents occur. We’re trained and prepared to guide you through the steps to handle a claim, whether it’s for your rig on the road or one of your fleet trucks in the city. Truckers are impressed with our representatives’ skill, and company leaders are glad that their business is in such good hands. 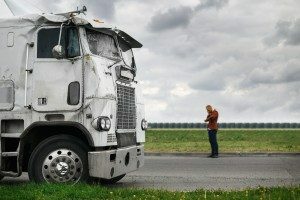 The reason is clear: No representatives are more thoroughly prepared with knowledge of the insurance industry and how it relates specifically to trucks and trucking businesses. 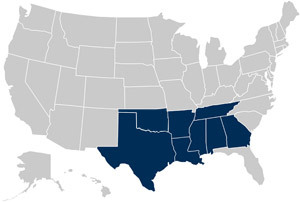 For your trucking business in Louisiana, Mississippi and other parts of the South, we’re your commercial vehicle insurance partner. American Insurance Brokers has been building its reputation through truckers, related businesses and their friends — you’ve probably heard of us before. Connect with us for more information and we’ll get you the information and coverage you need.